Lower Back Pain Is The #1 Reason People Miss Work. The back braces from Victory Medical are backed by patented, groundbreaking technology that serves as the ultimate weapon against back pain. Are you ready to make a change that could change your life for the better? Victory Medical has partners that help doctors and distributors cut through the red tape. What does that mean for you? It means your back brace will arrive more quickly and you can get back pain relief more quickly. Talk to your doctor about how you can get your back brace covered through Medicare/Medicaid and start taking your life back! Tell your doctor about Victory Medical back braces. Victory Medical helps your doctor order your brace quickly. Your doctor will custom-fit your brace for your unique figure. You can begin the road to recovery! LOOKING FOR BACK BRACES? VICTORY MEDICAL OFFERS SOLUTIONS FOR MANY DIFFERENT TYPES OF BACK PAIN TREATMENT. ABOUT: The VForce Flex is a truly unique brace designed with you in mind. 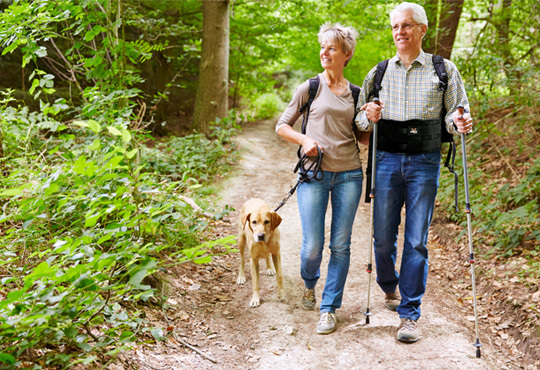 No other brace has the technologies that are used in this back brace. It is also certified, so it will be easy for your doctor to code. 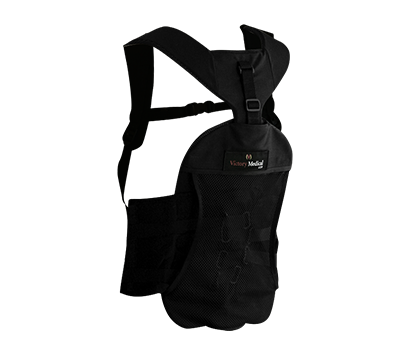 USES: This back brace can help with chronic lower back pain, post-op back pain treatment, spondylolisthesis, Facet syndrome, Radiculopathy, herniated discs, Spondylolysis, Osteoarthritis, Degenerative Disc syndrome, epidural injections, and more. ABOUT: The VForce Razar is a high-tech treatment for lower back pain that does not require the severity of VForce Flex. The ultra-thin profile allows for comfortable, inconspicuous wear. This product is also certified,easy for your doctor to code, and covered by Medicaid. 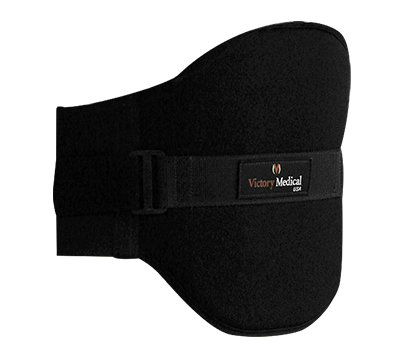 USES: This back brace work well for acute and chronic lower back pain, muscle strains, Spondylolisthesis, activity-specific back pain, mild post-operative stabilization, and more. 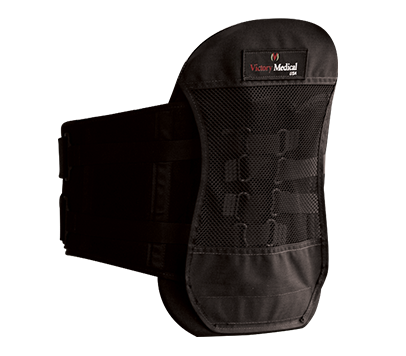 ABOUT: The TLSO back brace features an innovative design with no hard sternal pads and a unique cut out to reduce spinal pressure and increase airflows. The TLSO is easy to fit and provides maximum comfort. Like all of our products, the TLSO is certified and can be covered by Medicaid. USES: This brace is perfect for post-operative spinal surgery, kyphosis due to osteoporosis, mechanical back pain due to scoliosis, and more. 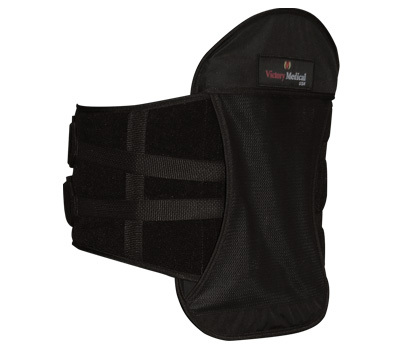 ABOUT: The V-Transformer has lumbar support and a unique strapping system allows for independent adjustment of the upper and lower sections, making this a very easy brace to wear. USES: The V-Transformer works well for bulging discs, Spinal Stenosis, Facet Syndrome, Degenerative Disc Disease, herniated discs, mechanical back pain, Spondylolisthesis, Spondylosis, pain in the mid-back, post-operative stabilization, compression fractures, and more. ABOUT: The hot/cold pack can easily be used with your brace to ease back pain. Cold therapy is often used immediately following an injury or activity and for at least 48 hours thereafter. Hot therapy is often NOT used for a 48-72 hour time period after injury unless speciﬁcally indicated by a health care practitioner and is typically used for longer term, chronic issues. 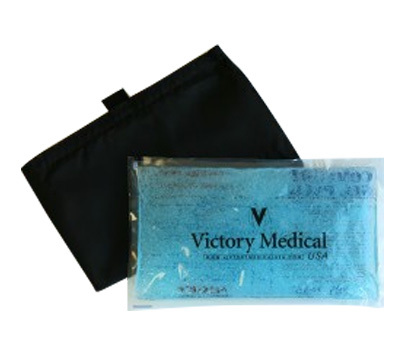 USES: The hot cold pack can be used with the VForce Flex, the VForce Flex TLSO, and the VTransformer. Are you ready to take control of your back pain?